In recent days, we have commemorated both the 50th anniversary of the assassination of President Kennedy, and the 150th anniversary of the Gettysburg Address. Occasions such as these are natural opportunities for us to look back and reflect on the past—to consider what has happened since—and to consider what might have been. As imperfect as our perception of current events can be, so-called 20/20 hindsight isn’t always what it’s cracked up to be, either. Even for those who were “there,” memories can be shaped or influenced by the passage of time, the perspectives of others, media coverage, and the like. In the world of employee benefits, if you’ve ever said (or intimated) that traditional pension plans in the private sector were once widespread,¹ that health care insurance exchanges are a new concept,² or that 401(k)s were a legislative “accident” discovered (and promoted) by a single “father”—well then, you’re likely contributing to the confusion about the realities of the past that can obscure an appreciation of the present, and a clearer vision for the future. Next month we’ll be commemorating EBRI’s 35th anniversary,³ and on Dec. 12 we’ll also be conducting our 73rd policy forum. A series of expert panels will be considering the state of employee benefits—as it was, as it is, and as it is likely to be. 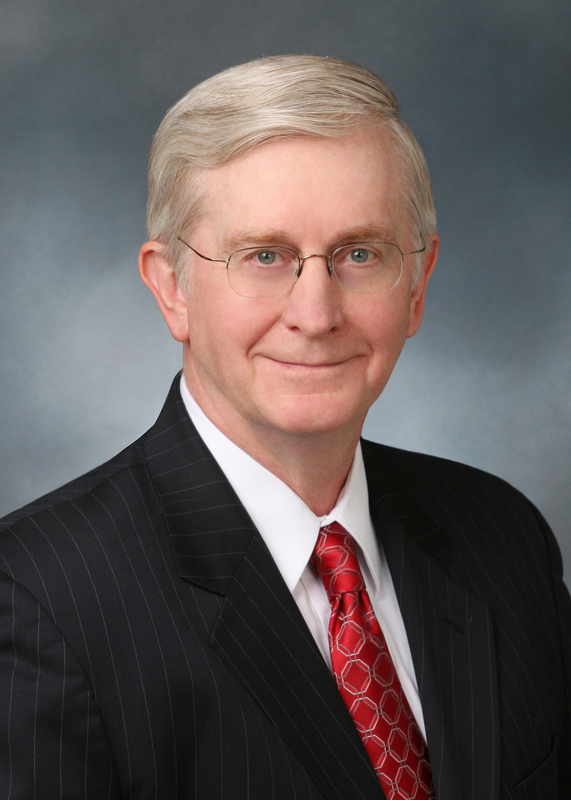 We’ll have the perspectives of those who have been directly involved in the development and execution of policies at the dawn of ERISA, who have both negotiated and navigated the subsequent regulatory, operational, and legislative shifts, and futurists who are helping anticipate (and perhaps shape) the next generation of employee benefit plan designs. The agenda for EBRI’s 73rd policy forum (and registration details) are online here. Attendance is free but space is limited. ¹ See “The Good Old Days,” online here. ² See “Private Health Insurance Exchanges and Defined Contribution Health Plans: Is It Déjà Vu All Over Again?” online here. ³ For additional insights, see the Fall 2013 EBRI President’s Report from Dallas Salisbury, online here. I’ll never forget my first day of driver’s ed class. This was at a time when it was still part of the “regular” school curriculum, and we were placed in groups based on whether or not we had actually driven a car before. Now, at the time, the extent of my driving was no more than backing the family car up and down our short driveway. But driving looked easy enough, and my friends were in the “having driven” group, so I confidently “fudged” the extent of my experience and shortly found myself behind the wheel of the driver’s ed class car, along with my high school basketball coach/instructor and a couple of my friends in back. To make a long story short, there was quite a bit of difference between backing a car up and down a driveway and navigating a car on the open road. And, but for the extra brake on the instructor’s side of the vehicle, I might have spent my first driver’s ed class waiting to be pulled out of a ditch, my confidence notwithstanding. The recent release of the 23rd annual Retirement Confidence Survey (RCS) got a LOT of attention.1 The headlines were mostly about Americans’ lack of confidence in their prospects for a financially secure retirement; indeed, the percentage “not at all confident” hit an all-time high for the RCS, while the percentage “very confident” remained at the all-time low it notched a year ago. A striking number of inquiries about the report focused on what could be done about retirement confidence. Still, asked how much they need to save each year from now until they retire so they can live comfortably in retirement, one in five put that figure at between 20 percent and 29 percent, and nearly one-quarter (23 percent) cited a target of 30 percent or more. Those targets are larger than one might expect, and larger than the savings reported by RCS respondents would indicate. They do, however, suggest that some are beginning to grasp the realities of their situation – a realization that could be weighing on their confidence in the future, even as it lays the foundation for change. Because, what really matters is not how confident you feel, but whether you have a reason to feel confident. 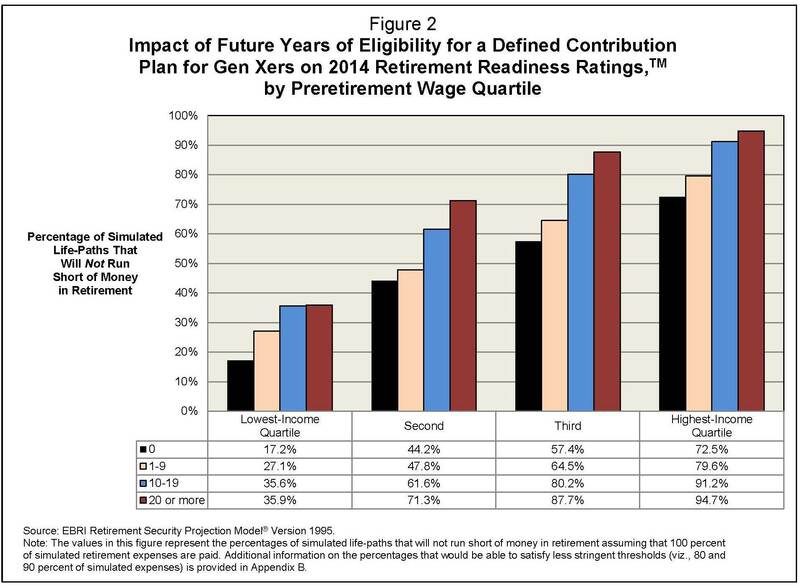 2 According to the 2013 RCS , workers who participate in a retirement savings plan at work (45 percent) are considerably more likely than those who are offered a plan but choose not to participate (22 percent) or are not offered a plan (18 percent) to have saved at least $50,000. These participants are much less likely than others to report having saved less than $10,000 (20 percent vs. 46 percent who choose not to participate and 50 percent who are not offered a plan). 3 A great place to start figuring out what you’ll need is the BallparkE$timate®, available online at www.choosetosave.org. Organizations interested in building/reinforcing a workplace savings campaign can find a variety of free resources there, courtesy of the American Savings Education Council (ASEC). Choose to Save® is sponsored by the nonprofit, nonpartisan Employee Benefit Research Institute Education and Research Fund (EBRI-ERF) and one of its programs, the American Savings Education Council (ASEC). The website and materials development have been underwritten through generous grants and additional support from EBRI Members and ASEC Partner institutions. 4 The RCS found that 31 percent who have done a calculation, compared with 14 percent who have not, say they are very confident that they will be able to accumulate the amount they need, while 12 percent who have not done a calculation, compared with 3 percent who have, report they are not at all confident in their ability to save the needed amount. 5 Workers often guess at how much they will need to accumulate (45 percent), rather than doing a systematic, retirement needs calculation, according to the RCS, while 18 percent indicated they did their own estimate, another 18 percent asked a financial advisor, 8 percent used an on-line calculator, and another 8 percent read or heard how much was needed. 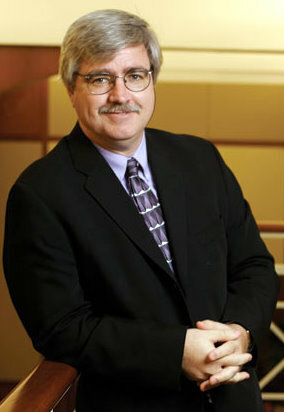 Last week the Center for Retirement Research at Boston College provided an update on its National Retirement Risk Index (NRRI).¹ The impetus for the update was the triennial release of the Federal Reserve’s Survey of Consumer Finance (SCF), published in June, reflecting information as of December 2010. Now, many things have changed since 2007, and in the most recent iteration of the NRRI, the authors note five main changes: the replacement of households from the 2007 SCF with those from the 2010 SCF; the incorporation of 2010 data to predict financial and housing wealth at age 65; a change in the age groups (because a significant number of Baby Boomers have retired, according to the report authors); the impact of lower interest rates on the amounts provided by annuities; and changes in the Home Equity Conversion Mortgage (HECM) rules that lowered the percentage of house value that borrowers could receive in the form of a reverse mortgage at any given interest rate. And, when all those changes are taken into account, the CRR analysis concludes that, as of December 2010, anyway, the percentage of households (albeit those from a partially different cohort) at risk of being unable to maintain their pre-retirement standard of living in retirement increased by 9 percentage points² between 2007 and 2010 (from 44 percent at risk to 53 percent). 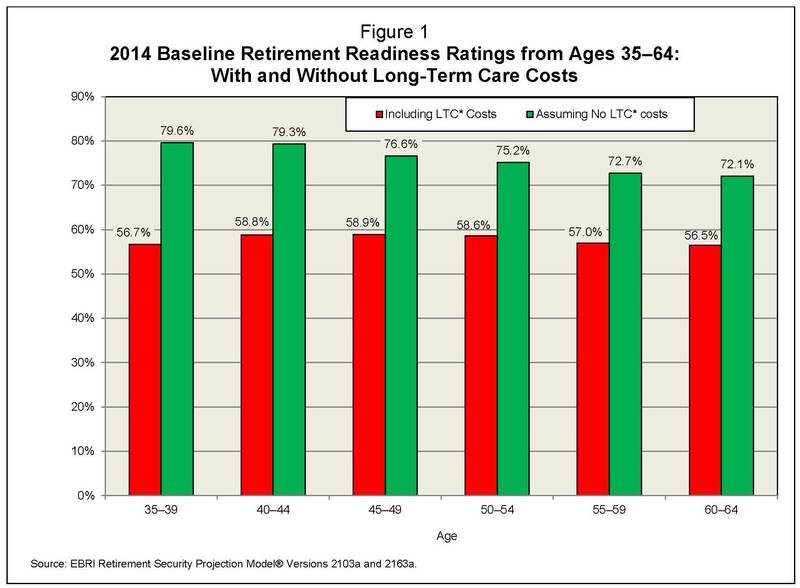 When the baseline for your analysis is updated only every three years, it’s certainly challenging to provide a current assessment of retirement readiness. 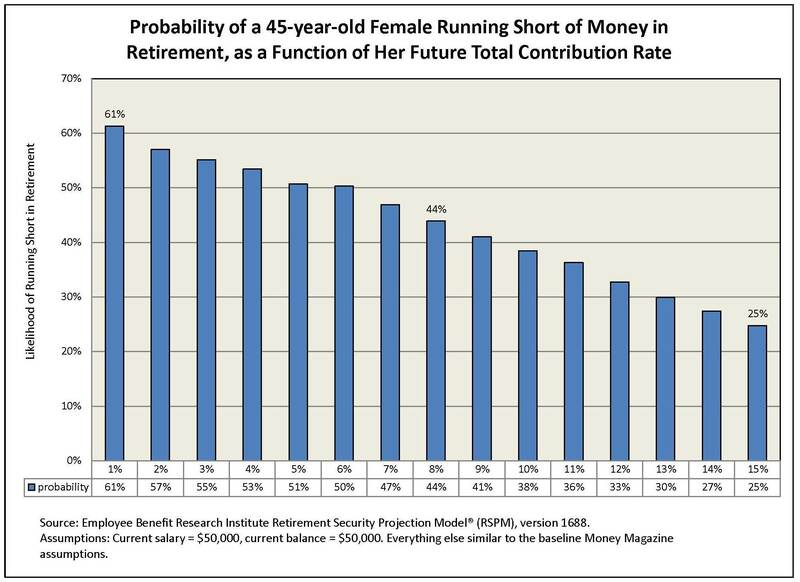 In previous posts, we’ve covered the limitations of relying solely on the SCF data³and, to some extent, the apparent shortcomings of the NRRI (see “’Last’ Chances”), and retirement projection models, generally (see “’Generation’ Gaps”). On the other hand, the impact of the decline in housing prices and the stock market were modeled by EBRI in February 2011 (see “A Post-Crisis Assessment of Retirement Income Adequacy for Baby Boomers and Gen Xers”), while the impact of the rising age for full Social Security benefits has been incorporated in EBRI’s Retirement Savings Projection Model (RSPM) since 2003. Moreover, EBRI has also included the potential impact of reverse mortgages in our model for nearly a decade now. Meanwhile, as a recent EBRI report noted (see “Is Working to Age 70 Really the Answer for Retirement Income Adequacy?”), the NRRI not only assumes that everyone annuitizes at retirement, and continues to ignore the impact of long-term care and nursing home costs (or assumes that they are insured against by everyone), but it also seems to rely on an outdated perspective of 401(k)-plan designs and savings trends, essentially ignoring the impact of automatic enrollment, auto-escalation of contributions, and the diversification impact of qualified default investment alternatives. It’s one thing to draw conclusions based on an extrapolation of information that, while dated, may be the most reliable available. It’s another altogether to rely on that result in one’s retirement planning, or the formulation of policies designed to facilitate good planning. ¹ The report, “The National Retirement Risk Index: An Update” is available online here. ² The report notes that, between 2007 and 2010, the NRRI jumped by 9 percentage points due to: the bursting of the housing bubble (4.5 percentage points); falling interest rates (2.2 percentage points); the ongoing rise in Social Security’s Full Retirement Age (1.6 percentage points); and continued low stock prices (0.8 percentage points).